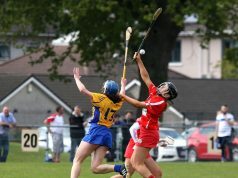 Restoring confidence and belief while endeavouring to attain success are the main goals of the Clare senior camogie team in 2017. 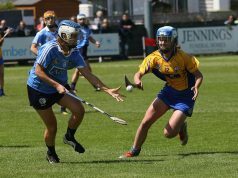 Patricia O’Grady will enter into her second year in charge of the side in 2017 and despite a winless championship game this year she is adamant that her side can bounce back. 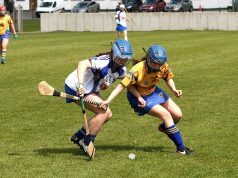 Her report on the season was presented to delegates at the Clare Camogie AGM. “2016 is best described as a difficult and challenging for players and management alike. Reflecting on the past year it would be remiss of people to conclude that our lack of success in the championship defines Clare’s inability to compete at senior level. 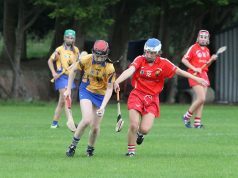 However it would be equally remiss to ignore, proffering multiple injuries incurred, the current transition period of players from minor to senior as reasons for the disappointing year. Collectively must learn from the past twelve month’s experience” the Newmarket-on-Fergus woman stated. 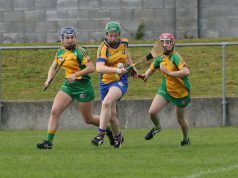 She emphasised that it was not an excuse for their underwhelming displays but injuries suffered right at the beginning of their championship bid had an effect on the panel. “As our championship campaign proceeded it became increasing difficult. 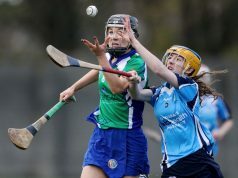 We became over reliant on our minor players (fresh from leaving cert) as our injury list to key players mounted. Those introduced in the Limerick, Waterford & Wexford respectively demonstrated that they have much to offer going forward. Unfortunately our championship campaign did not realise any win and while I do not want to offer excuses, our extensive injury list did negate our ability to get over the line in some games”. O’Grady added “I would like to extend my deep appreciation to all the players who gave their all throughout a very difficult year. 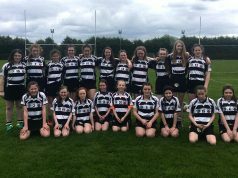 Established players that were unyielding in their efforts in steering the team and the young players who were prematurely introduced to competitive senior championship action. While not rewarded for your efforts the resilience shown in such adversity is commendable. I very much hope that despite this year’s disappointing campaign it will provide the impetus to be the launch pad for future success. “Collectively we must ask more of ourselves. There is no doubt we have the requisite talent to compete but talent alone is not suffice to succeed. ‘Work ethic exceeds talent’. We, management and players collectively, must become more responsible, accountable and committed. This combined with the belief and ambition can realise success at senior level. There are no guarantees in sport but if it’s worth doing, it’s worth doing right”. A former inter-county goalkeeper, Patricia thanked her management team, the county board, sponsors and the finance committee. She concluded by stating the side’s goals for the season ahead. “On a personal note I am disappointed with the outcome of my efforts in this year’s championship campaign I will make every effort to restore the confidence and belief in the players, endeavouring to attain success and realising the true capabilities of this squad”.